MUMBAI LOCALS- A POSITIVE THOUGHT. Are you the one like me who gets frustrated when Mumbai local train is delayed even by 15 minutes??? Then this write-up is for you. Let us try to stay calm and utilize them. ‘No, please don’t try to engage me. I am leaving. It’s my husband’s holiday today and I have to go for an outing with him, after long. Planned to surprise him by reaching home before time.’I said to my colleague in the office and began to pack my black office backpack. ‘C’mon, It’s just an hour’s work. Let us wind it up today. Please wait.’ A colleague and a friend requested again. ‘No-no, I am leaving.’ I announced and constituted my decision quickly. Rushed from the office to catch 7.15 ki Mumbai local. After brisk walking of some half a km, I reached to the sharing auto stand. As I entered the auto, it started moving to take me to my destined railway station; so unlike the regular days, when I have to wait for long to get the right numbers of passengers in the sharing auto to start. With a happy feel, immediately I unzipped my brown sling bag to take out the exact change of money and pay beforehand to auto-wala. After all rush and hush, I reached the station at 7.10 p.m. and happily headed to the platform as still there were five minutes for my train to arrive. I imagined a happy rapt face of my husband to see me before time. Wow, was my feeling before I looked up at the display board which exhibits the timings of the train. It said,”8 BV” that signifies that train to Borivali station will arrive at 8 p.m.
What the hell has happened, trains were running late by 45 minutes. I ingested a deep breath, pushed back my hair and looked again at the display board with an absolute sense of irritation. My bright, snappy face was dull now as if nothing around me interested me. Since long I was waiting for this evening like a little kid. All my efforts seemed to be in vain. I started cursing Mumbai locals and then myself that why I hurried. Why I even imagined one lovely evening. I would have worked in office than sitting at this noisy place where people are buzzing in my ears. Irritation ran all through my mind and soul. Anyway, I sat there and kept looking at the recent rash of people. Local trains for the different destinations were arriving and departing. Though arriving late, trains looked happy and stress free to me; Whistling in the same high pitch, stopping at the right desired platform, keeping up the positions of every coach aptly without any hassle and then departing with its pace; giving hope to the passengers inside, to reach their home and hope for the passengers like me, by saying that I am departing, but my colleague is going to pick you up my darling… so just relax. The train was at fault, yet was not anxious and was working satisfactorily, and I, who was at no fault was sad, dull and annoyed! What a fool I am, I thought. The conversation which was going on between the train and me eventually turned into a conversation between me and myself. Just thought, what would have happened if locals might have started crying and cursing itself for running late. Sure, they wouldn’t have reached here, even after 45 minutes. I realized that trains spirit of working and being happy is worthful and somehow suddenly a gush of thought changed my mood to a jovial one. I started smiling, My face lit-up and now I was intimately aware of the fact that irritation takes you nowhere. Just as bacteria sit in your mouth, creates a cavity and damage a tooth… Irritation sits in your mind, devours your brain and then damages your peace of mind. 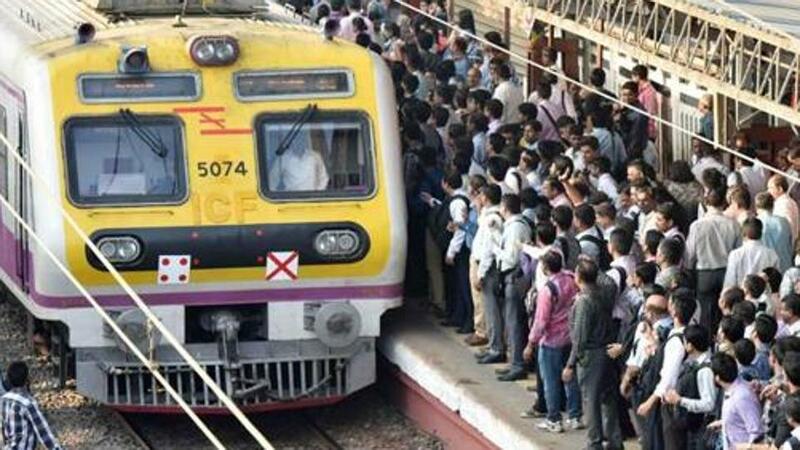 So let’s not waste the time in getting irritated or frustrated, but better think of what best can be done in that particular situation like Mumbai locals did. The strange and indescribable pleasure of this learning subsided my pain of reaching home late. It was 8 p.m. when my train arrived. I boarded in. My face till time has already adopted an expression of happiness, as now I know I was for no reason a troubled or an unhappy woman. Reached home with a self-satisfied grin on my face. ‘You seem content and happy.’ My husband said as he opened the door. ‘Mumbai locals are wonderful.’ I replied with twinkling eyes. ‘What?’ He asked with astonishment. ‘Hey, let us cook something together. We will have a party tonight.’ I said and entered my room to freshen up. We cooked Shimla Mirch- Paneer, lit the candles, put on the music and appreciated a party feel. In a hectic strenuous life of Mumbai, the journey of Mumbai local gives enough personal time to think of the things we have never thought about. While waiting for the train or even dangling by one hand holding the rod in an overcrowded train, you always get time to think about yourself, finding new ideas and meditating. Thinking in your mind does not need extra flooring space to occupy in super stuffy Mumbai locals. Attempt it! You will enjoy! I am already relishing the thought! This entry was posted in Article and tagged How to utilize time. Ranu Bhatt, local train, mumbai, positive thought by ranubhatt. Bookmark the permalink. ← Previous Previous post: Tried and tested- 10 tips to engage a toddler during long drives! Next → Next post: Happy women’s day-I will never die, but will be around.